The reservoir was completed in 1878. It held 160 million gallons of water when full, and covered 24 acres. The height of the dam was 90ft. 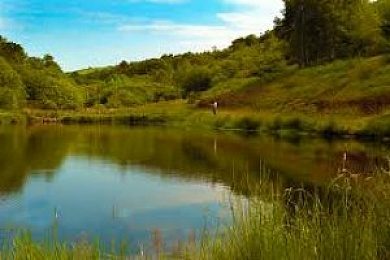 Felindre Trout fishery has been around for many years; it was opened in 1989 and quickly established its reputation as an excellent trout fishery. The fishery grew fast over the first 5 years; but in 1995 it was closed because of the drought. The lake reopened in March 1996. It was decided by Jud Hamblin to have the lake as big fish water, as the only big fish waters were all in England. The lake soon became known as the Shimano Felindre Big Fish Water. Since opening in March 1996 many alterations had been made to enhance the lake. Many record fish have been taken from the Shimano Felindre big fish water over the 15 year since Jud took over and is always looking for the next record fish.